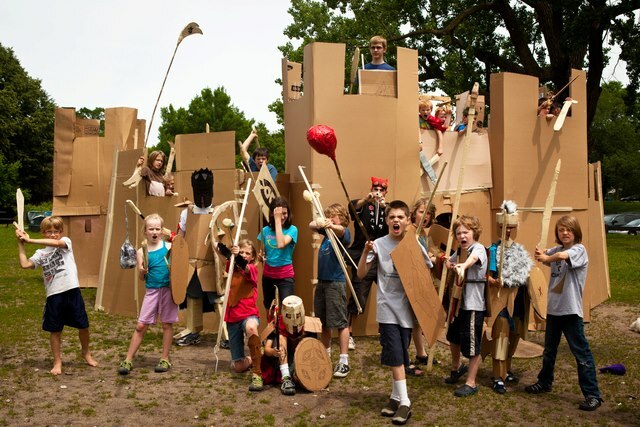 Adventures in Cardboard is a summer camp in the Minneapolis-St. Paul area that focuses on letting kids build and battle with cardboard. 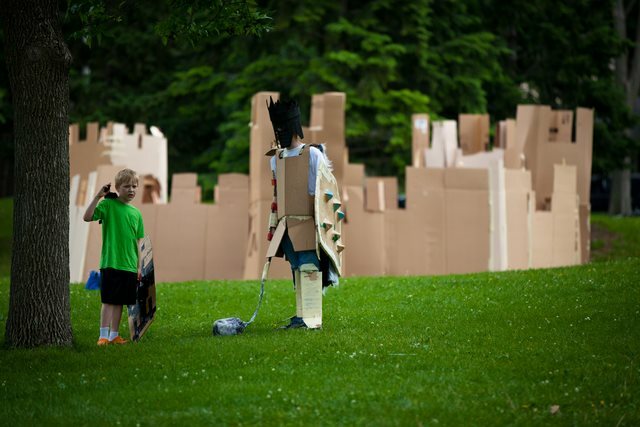 Campers are led by professional artists and teachers to learn how to build armor, weapons, and even buildings with simple wood and cardboard construction that all lead up to intense battles. The camp is currently raising funds for scholarships given to children in need via an Indiegogo campaign with rewards like T-shirts and custom-built cardboard hardware for backers.